Compact optimization algorithms are a class of Estimation of Distribution Algorithms (EDAs) characterized by extremely limited memory requirements (hence they are called “compact”). 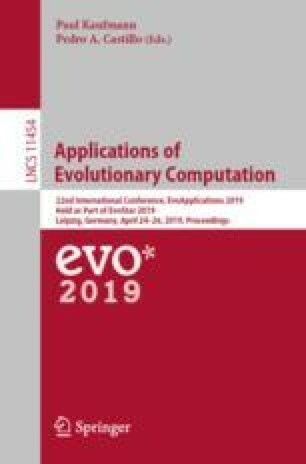 As all EDAs, compact algorithms build and update a probabilistic model of the distribution of solutions within the search space, as opposed to population-based algorithms that instead make use of an explicit population of solutions. In addition to that, to keep their memory consumption low, compact algorithms purposely employ simple probabilistic models that can be described with a small number of parameters. Despite their simplicity, compact algorithms have shown good performances on a broad range of benchmark functions and real-world problems. However, compact algorithms also come with some drawbacks, i.e. they tend to premature convergence and show poorer performance on non-separable problems. To overcome these limitations, here we investigate a possible algorithmic scheme obtained by combining compact algorithms with a non-disruptive restart mechanism taken from the literature, named Re-Sampled Inheritance (RI). The resulting compact algorithms with RI are tested on the CEC 2014 benchmark functions. The numerical results show on the one hand that the use of RI consistently enhances the performances of compact algorithms, still keeping a limited usage of memory. On the other hand, our experiments show that among the tested algorithms, the best performance is obtained by compact Differential Evolution with RI. This project has received funding from the European Union’s Horizon 2020 research and innovation programme under grant agreement No. 665347.